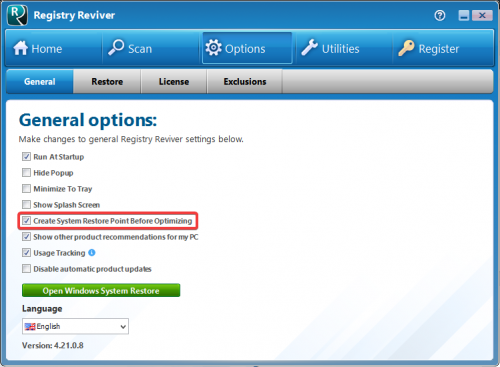 Registry Reviver conveniently creates a System Restore point on your computer, before any repairs, optimization or changes are carried out. 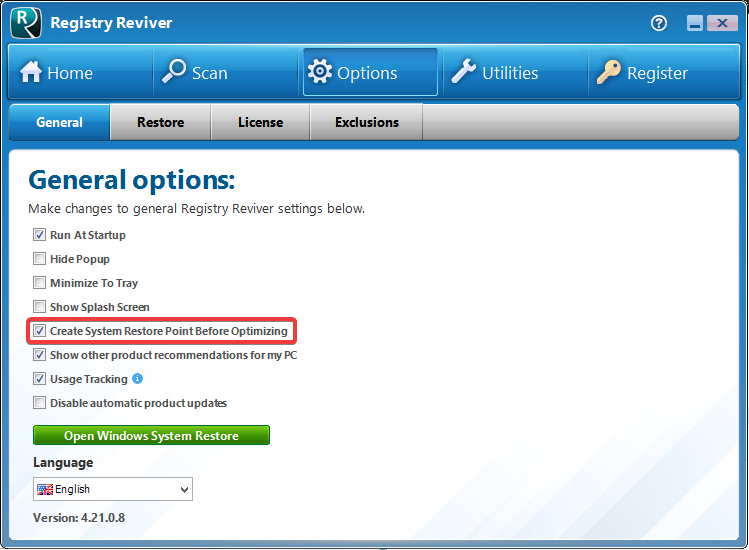 The Create System Restore Point Before Optimizing option is available under the Options and General tab area of Registry Reviver and is enabled by default. You can turn it on or off by clicking the switch. How do I change the default language of Registry Reviver? How do I create a Schedule to run Registry Reviver? How do I prevent Registry Reviver from running every time I start my computer?